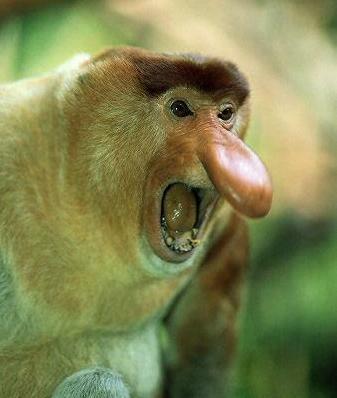 This Borneo native, known as a proboscis monkey, looks like some people I know. 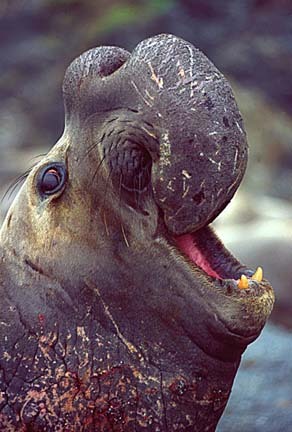 The elephant seal can get to 6,000 lbs and can dive as deep as 2,000 feet. The longest recorded dive is for 119 minutes. Impressive stats for such an ugly beast. This old reptile deserves a place of honor. Not for being ugly - though he wouldn't win any beauty contests - but for hanging around as long as he did. 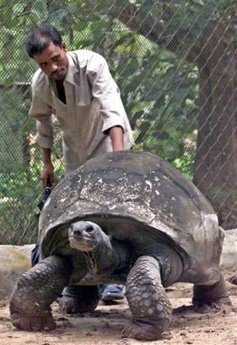 This particular Aldabra tortoise (Aldabras are second in size only to the Galapagos tortoise) has been with the zoo in Calcutta, India, since its opening in 1875. When he died over the weekend from liver failure, he was believed to be aged around 250 years! 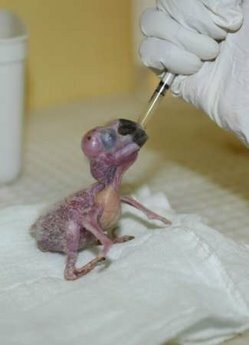 The ugliness of this baby macaw is offset only by its helplessness. We'll let you slide by this time, little bird, but grow some feathers fast. 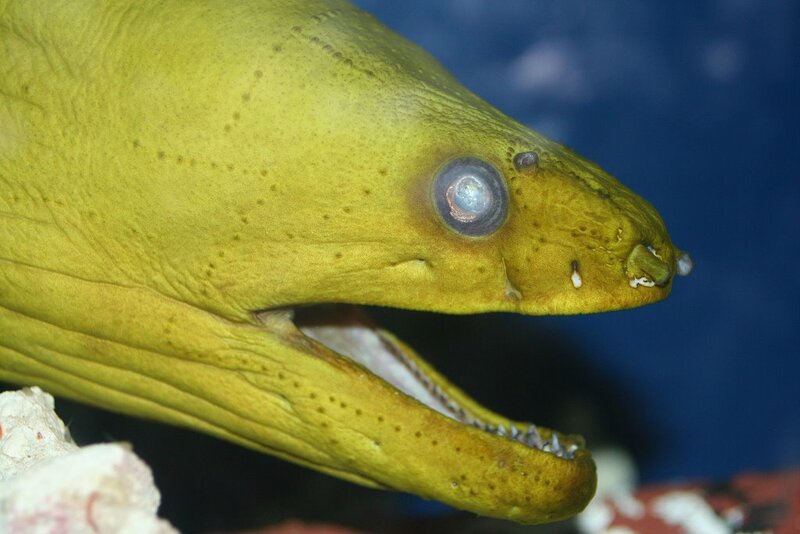 Here is a nice close-up of the Green Moray Eel. 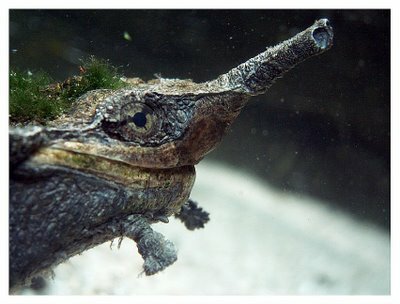 What is worse, the little barbels that stick out from the snout, the serpentine body shape, or those clouded eyes? For me, it is the hissing and ugly demeanor - they aren't nice fish. Ugly is as ugly does. 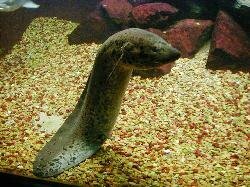 Following up on our shoebill post, here is the African lungfish. These carnivorous fish have two lungs which allow them to breathe should water become scarce. One of their primary predators is the shoebill. They can't complain, though. 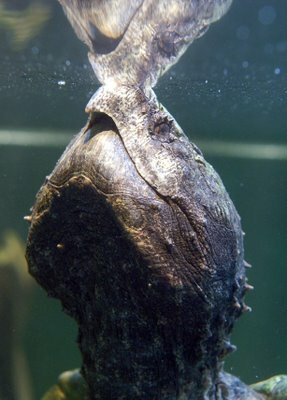 These fish are known for having nasty temperaments, and will attack nearly anything that moves - including the nutballs who keep them as pets (I would like one, too, but their too expensive). 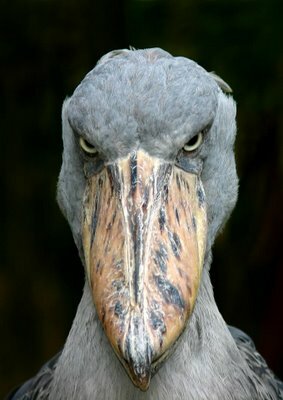 Here is a shoebill. This Central African bird is the source of much controversy in the ornithology and birdwatching community. Is it a type of stork or heron or pelican? Or is it a bird in its own class? I can't answer any of those. All I can say is that it is ugly, and is therefore welcome here. 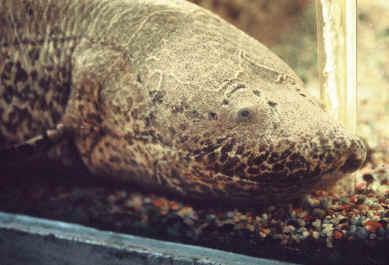 Their primary source of food is the African lungfish - a very ugly fish. "You are what you eat" has never been truer than with this bird. A little while ago we did a post on the japanese giant salamander, which bears the distinction of being the world's second largest salamander. 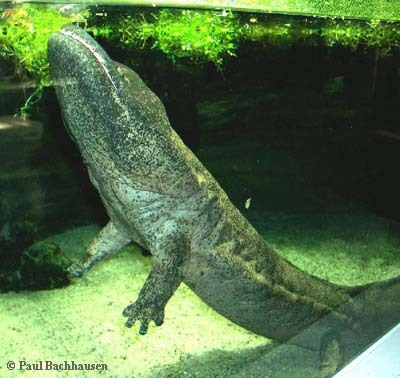 We would be remiss in our duties if we didn't do a post on the world's largest salamander. Check out the chinese giant salamander. These nocturnal beasts can grow to be 6 1/2 feet long, and weigh as much as 55 pounds! Another characteristic: they have been whacked with both the amphibian and the over-sized ugly sticks, which makes for a bad combination. This fish, known as the umbrellamouth gulper, lives deep in the sea - at depths exceeding 6,500 feet. 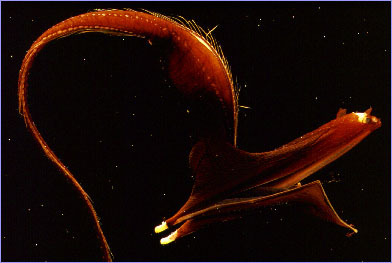 Also known as the pelican eel, this fish scoops up hapless victims in its loosely hinged jaws. Despite its ugly and frightening appearance - there is no need for us land lubbers to worry. Not only do they live over a mile below sea level, but these gulpers typically only grow to 2 feet in length. 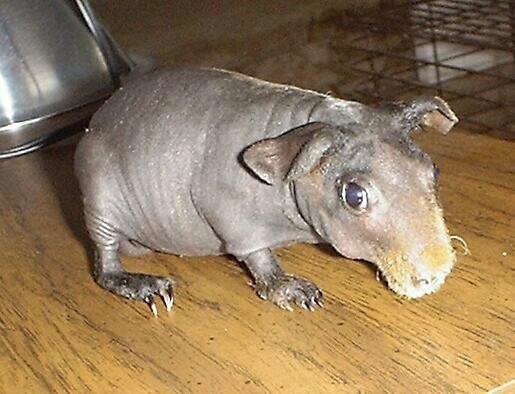 Not all guinea pigs are cute and snuggly. Some are ugly and snuggly (according to their owners, at least), like this hairless specimen. Thanks, Lillith (photo taken by Dr. K'taden Legume). I've been on a vulture kick lately. Here is the true king of vultures - the California Condor. These birds are the largest of the vultures, weighing in at 25 pounds and standing over 4 1/2 feet tall. But get this - their wingspans measure 9 1/2 feet from wing tip to wing tip! John Muir reported seeing flights of condors so large that they would block out the noon day sun. Getting a close-up look at that featherless, swollen head and neck, I would have been very thankful that they stayed airborne and away from me. Sadly, at one point, the California Condor population declined to less that 26 individuals in the world. Through the incredible work of the good folks with the California Condor Recovery Program, much has been done to protect this species, though it still stands on the brink. Photo courtesy: U.S. Fish & Wildlife Service. 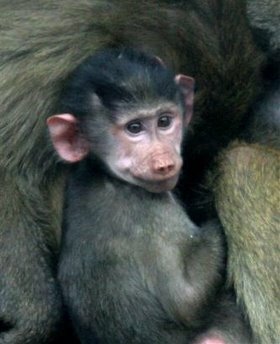 Young baboons provide ample opportunity to demonstrate that babies can be ugly. True, their ugliness leans toward cute, but the ugly remains. Never forget that. Turtles aren't known for being attractive animals - few reptiles are. 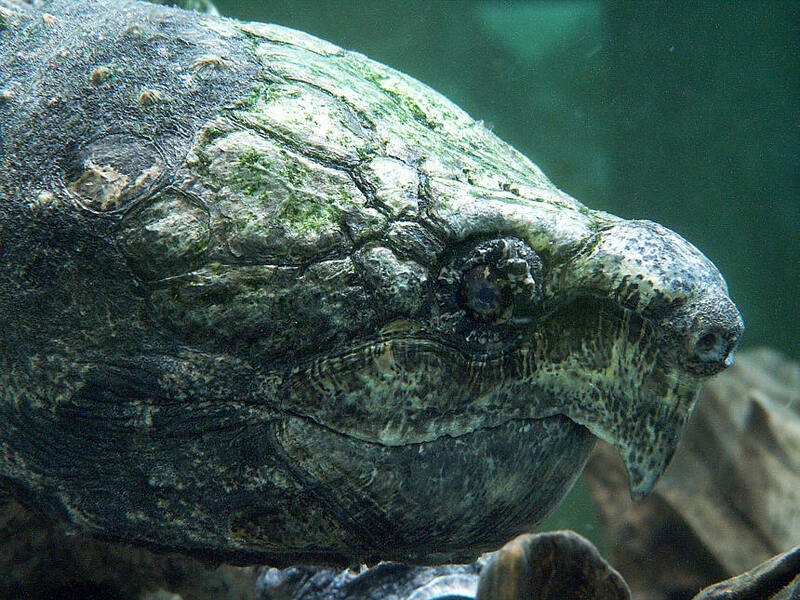 The snapping turtle, though, takes the ugly cake. 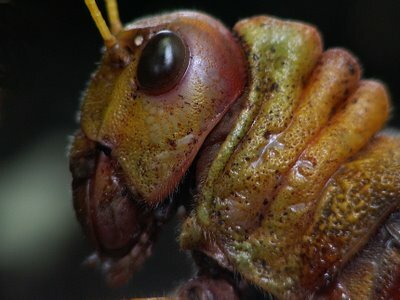 Not only are they aggressive when cornered, but they also secrete an odorous substance from their sides. This is one of those times when ugly is much more than skin deep. 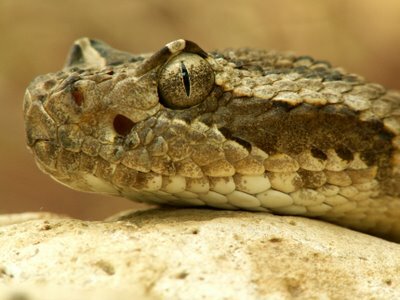 I love the golden eyes of this serpent. The raised eyebrows and slit pupil give this snake a sinister look, but I wonder how much malevolence its pea-sized brain can conjure. True Bavarian has caught this chimp in a very thoughtful pose. He is most likely contemplating his unfortunate appearance. 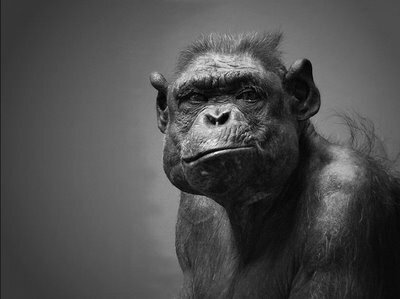 Hey, you shouldn't have been born an ugly ape then. 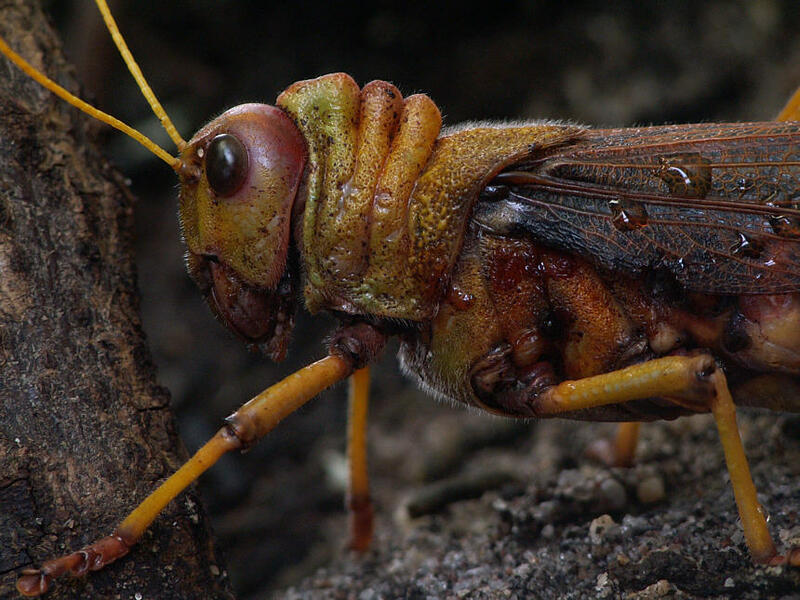 True Bavarian took these great up-close-and-personal shots of your friendly neighborhood locust. Known for swarming and their voracious appetites, these ugly insects have been the plague of many a farmer and society. On the plus side - and ironically - these pests taste good when deep fried. 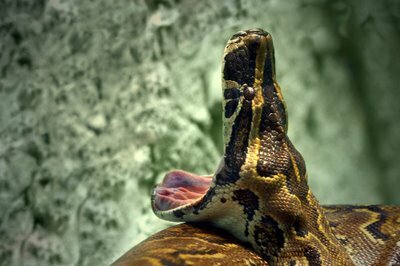 Snake skulls are so flexible - especially constrictor skulls. This shot looks more like a hand puppet. Your average hand puppet, though, isn't capable of killing and then eating alligators or kangaroos. Thanks once again, True Bavarian. Here is another treat from True Bavarian. 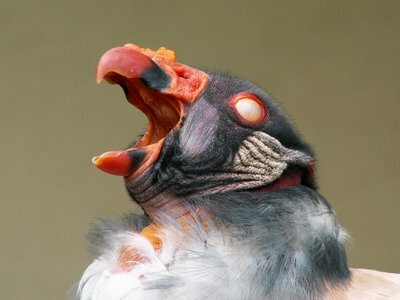 This is a king vulture - the second largest of the New World vultures (only the condor is bigger - coming soon to an Ugly Overload blog near you). 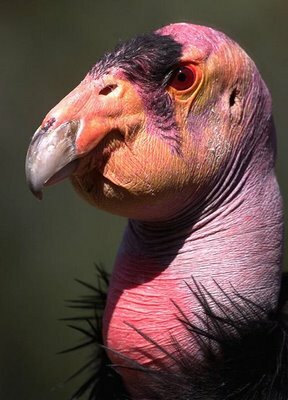 Vultures don't require too much commentary: they eat rotting animals and look like this. Enough said. I'm just happy this guy is native to Brazil - the further away from me the better. 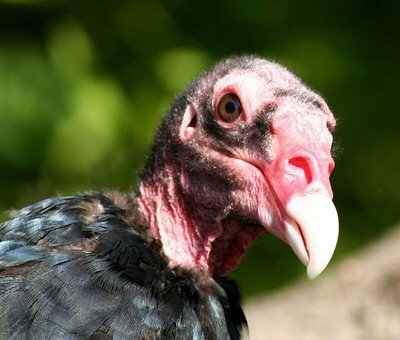 I already have to deal with the turkey vulture in my backyard - see below. True Bavarian, a member of Flickr, is a gifted photographer. After stumbling across his work, I got his permission to post his pictures. I will be showcasing some of my favorites of his over the next week or so. Check out his matamata turtle. These South American soft-shelled turtles lie in wait for passing prey. Their name means "I kill, I kill" in Spanish (mata mata). How do you say, "I die, I die" in Spanish? That's the kind of fish I would be if I saw this smiling face lunging at me. We've gone far too long without another look at Sam the World's Ugliest Dog. This shot makes him look proportionate to Godzilla. Oh the nightmares that movie would induce. Remember those Skeksis from the Dark Crystal? This photo of a Turkey Vulture, by Tarkeena, brought them back to mind. These birds, native to the Americas, are truly ugly abominations. As if their looks weren't enough, they also vomit on you if you spook them. Thanks for the nightmares, Tarkeena. One of our readers, Melissa, sent me this photo. Turns out one of her friends who works in animal control and (coincidentally) in my hometown, found this huge and ugly bat. I've seen dogs smaller than this winged spawn of Satan, and now I find out that they are living in my neighborhood! 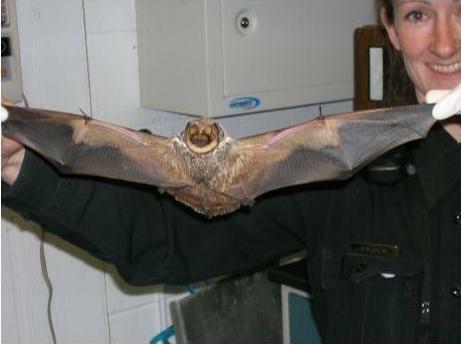 It is a Horray bat, and this specimen is twice the size of the typical Mexican Freetails she comes across. This particular bat had to be euthanized for rabies control. Still, I will never go outside at night again. 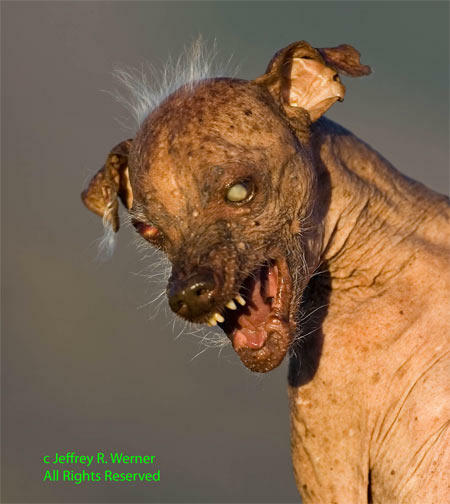 Ugly puppies do exist and we have proof, thanks to Finstr. 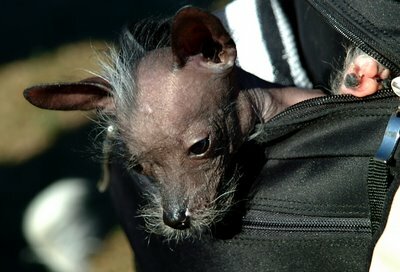 This Chinese Crested puppy has been stuffed in a backpack, presumably to conceal its horrid appearance. It must have found the close confines - and being smothered in its own ugliness - too stifling and had to come up for air. 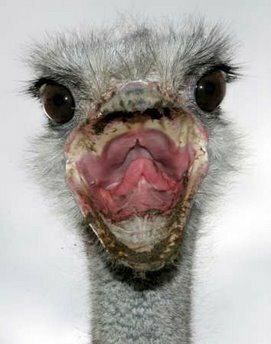 This open-mouth ostrich photo is being bandied about in the news as Russia tries to contain a possible bird flu epidemic. They, like so many other countries, are having to put down thousands upon thousands of poultry stock to contain the threat. This bird better stick its head back in the sand to save its neck. Perhaps they are using such an ugly photo to make us not feel so bad. Meet Carlo, who belongs to one of our readers, Felisa. Don't be sad, Felisa, not everyone owns a photogenic cat. I'm just proud of you for being willing to share his ugliness with the world. Also, take some solace in the fact that Caro isn't hairless. Thanks, Felisa. 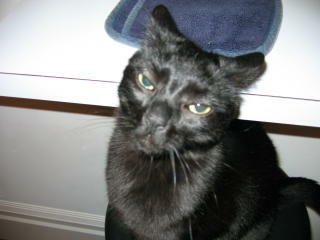 I hope your cat's soul isn't as black as his countenance. You've got to wonder what this guy's furniture upholstery looks like. 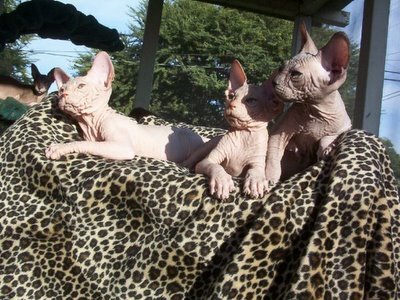 We dug through the treasure trove at Fundumper to bring you some more Sphynx cats. These hairless wonders are a staple for us. Should we curse the breeders for producing such ugly cats, or should we praise them for providing us so much fodder? Proving that some people will eat just about anything, here is a basket full of Rattails ready for the skillet. 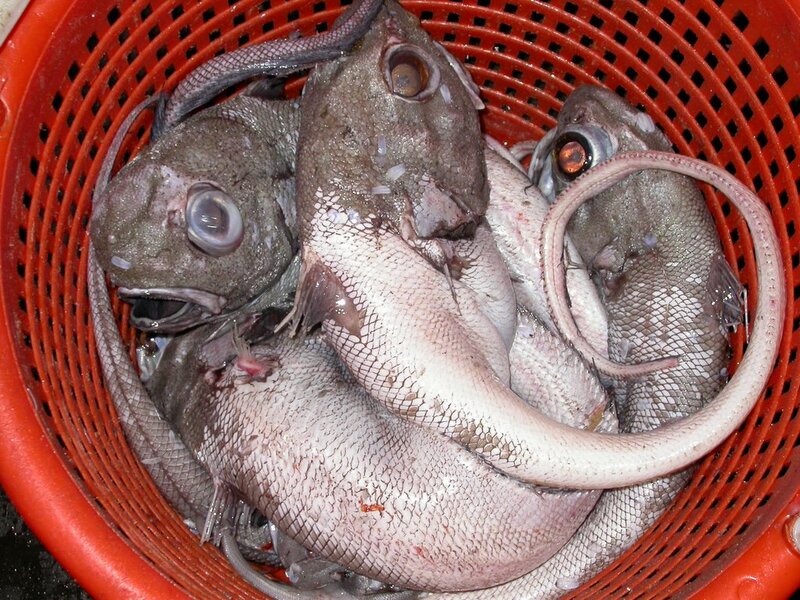 These abominably ugly fish were first profiled on Ugly Overload when we were trying to identify a mystery fish. And wouldn't you know it? One of our readers succcessfully identified them for www.caymennetnews.com. I didn't think these seafaring fish would appear back here as cuisine. It's amazing how many ugly animals are eaten. I guess its better than a lot of cute animals being eaten. 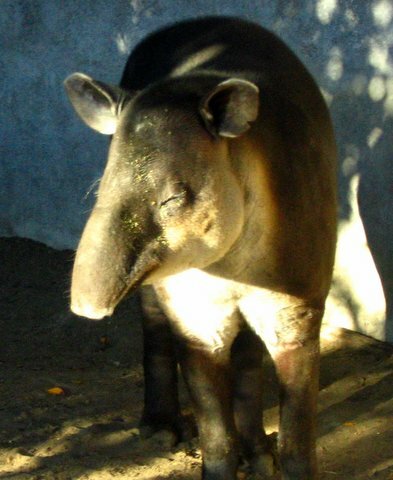 The tapir looks like a creation of Dr. Moreau. This sleepy specimen looks like some cross between an elephant, an anteater, a mountain lion (look at that tawny coat), a pig, and might even have some koala in it. I can't quite peg the ears. This creature's ugliness doesn't have a cringe factor; it just gives you that double-take, 'I don't know what to make of it' feeling. Their alien looks makes me wonder why this animal hasn't been made the lead character on a Saturday morning cartoon. Thanks for the great photography, Zombie Squirrel. Check out his other work here. It's OK when you dress your dog in a sweater. It is something different when you dress a monkey up. They already too closely resemble ugly humans, so it's too close for comfort. 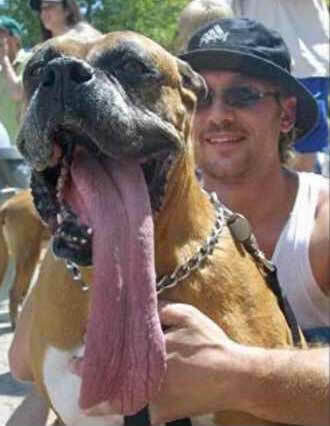 When I saw this picture, I thought, Wow, what a huge dog! Isn't that little girl scared? Then I looked at the 'girl' and I nearly shouted out in alarm. It took me a moment to realize it was a monkey wearing a dress. 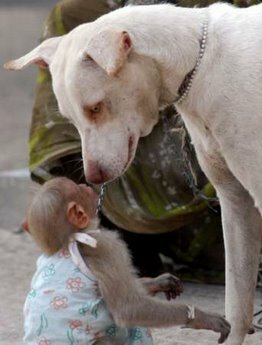 This picture would be cute, but the dress-wearing monkey just looks like a horrible looking human child. There's really no point in showing the whole fish when the mouth is this ugly. 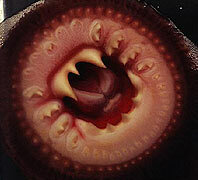 Behold the nasty rictus of the lamprey. This horrific fish puts other parasites to shame. 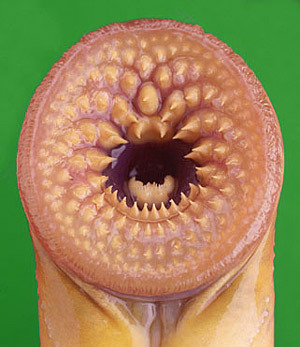 These animals are the scourge of aquatic life, and would kill me via heart attack if I saw this maw coming my way. Thank you, Joe, for sending us these photos. You have a true eye for ugly.